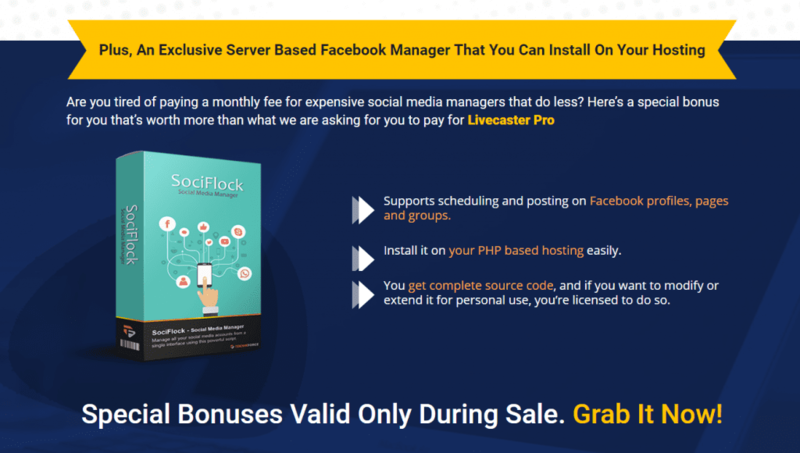 Livecaster3 Pro is your livecasting tool that works with Facebook pages and Youtube. If you’re looking for a way to livecast multiple videos simultaneously then this is the lifetime deal you need to get. You pay once and it will also include 2 years of free upgrades. Powerful livecasting training unlimited videos for livecasting.